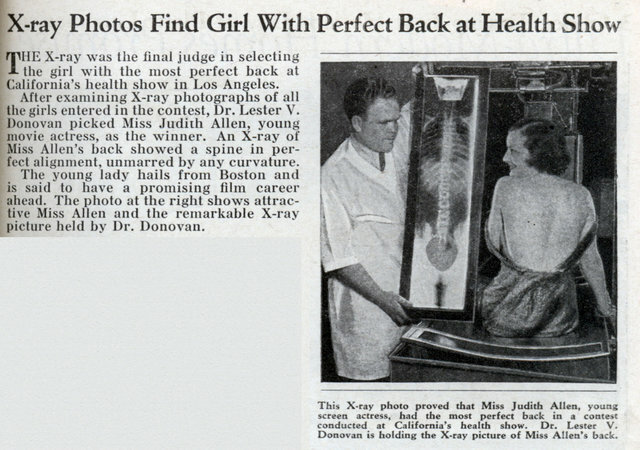 THE X-ray was the final judge in selecting the girl with the most perfect back at California’s health show in Los Angeles. After examining X-ray photographs of all the girls entered in the contest, Dr. Lester V. Donovan picked Miss Judith Allen, young movie actress, as the winner. 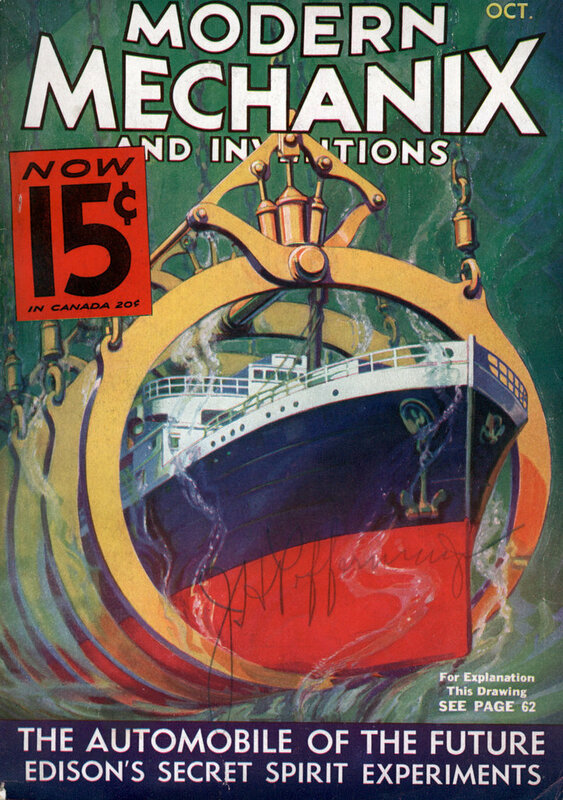 An X-ray of Miss Allen’s back showed a spine in perfect alignment, unmarred by any curvature. The young lady hails from Boston and is said to have a promising film career ahead. The photo at the right shows attractive Miss Allen and the remarkable X-ray picture held by Dr. Donovan. >The young lady hails from Boston and is said to have a promising film career ahead. If IMDB is to be believed, she was in 38 films and passed away about 10 years ago. This surpasses X-ray machines in shoe stores as the stupidest use of ionizing radiation in history.